Weetwood Bridge is an historic Northumberland landmark, a Grade I listed building, an important span over the River Till serving the village of Chatton, and on the day we were there, an interesting place to observe seagulls. dagdvm and I were drawn to Weetwood Bridge by the prospect of finding Weetwood Bridge (GC1RA3Z), one of the few geocaches near Wooler. This was our first day geocaching in Northumberland after we’d spent several days in West Yorkshire and South Yorkshire. Earlier we’d found Weetwood Moor (Cup & Ring) (GC27767) on our way northwest from Alnwick. 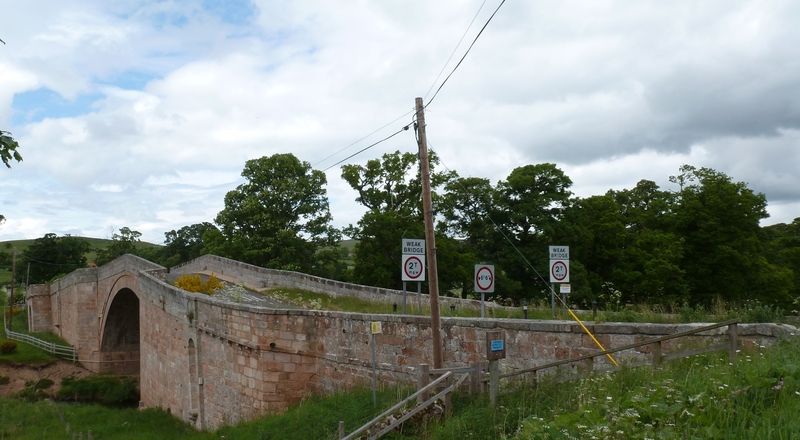 Now we found ourselves standing on one of the more historic sites in the area, a medieval bridge that likely played a key role in the Battle of Flodden. This crucial event helped lead to the union of the British and Scottish crowns in 1603. 9 September 2013 is the 500th anniversary of the battle. We learned about the rich history of the bridge from the Weetwood Bridge geocache’s description. Before we started looking for the geocache we were distracted by something neither of us had ever seen before, seagulls apparently patrolling a river in search of flying insects, much like swallows might do. These black-headed gulls worked all the the River Till we could see from the bridge for the entire time we were there, more than half an hour. While they’re opportunistic omnivores and known to eat insects we had a hard time believing whatever they might catch would be worth the energy they expended. Still, we couldn’t come up with any other likely explanation for their behavior, unless this was just their idea of a good time. Eventually we turned away from the mesmerizing sight of gulls over the River Till and went looking for the cache. Weetwood Bridge is a one-lane span with a maximum vehicle width of six and a half feet and a very low weight limit, but it’s useful enough that we saw a number of cars cross it in both directions while we were there. Except at its peak there’s also enough room on both sides for pedestrians to safely get out of the way if necessary, which made it easy for us to watch the gulls and search for the cache. We didn’t have to search too long before dagdvm found the hide. Thanks to Longfram Kev for placing a geocache at this historic site and to Jesmond Lynam for adopting and maintaining it. 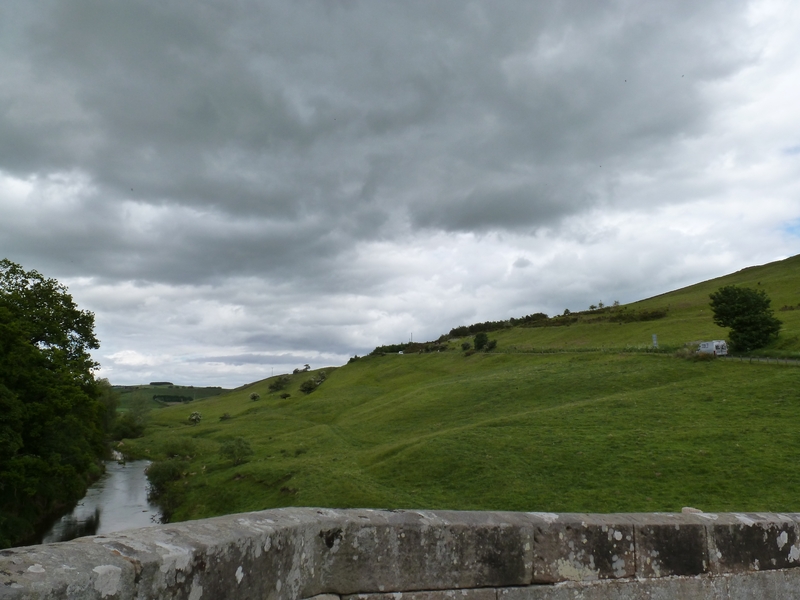 Weetwood Bridge is a great place to contemplate history and take in the beauty of the Northumberland countryside. 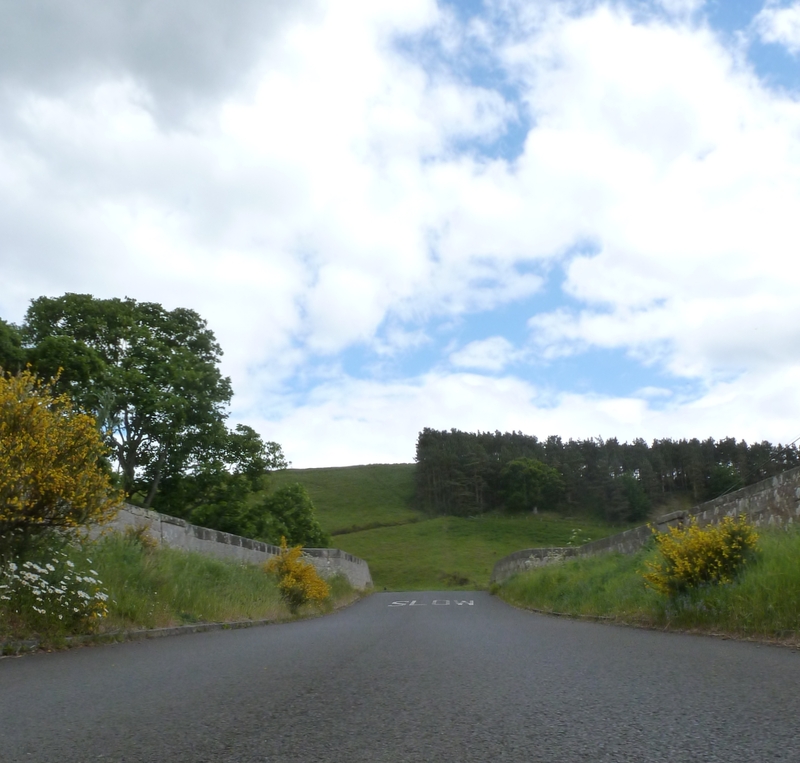 This entry was posted in found it, road trip, UK June 2013 and tagged black-headed gull, Chatton, geocache, geocaching, Jesmond Lynam, Longfram Kev, nature, Northumberland, photography, photos, River Till, The Battle of Flodden, travel, UK, Weetwood Bridge, Wooler. Bookmark the permalink.